Washington is set to start deterring Russia in space. President Barack Obama in a letter notified Congress that in "accordance with section 1613 of the National Defense Authorization Act for Fiscal Year 2016" he had summited a classified report on deterring "adversaries in space." The US brought up the idea of deterrence in space last year, citing Russia and China among the possible rivals. According to the Pentagon, Moscow and China are building up their presence in space while the US is lagging behind. US Deputy Defense Secretary Frank Kendall urged to boost spending on space in a bid to catch up to Russia and China. Recently, Barack Obama recalled the "Russian threat in space" in the light of fierce debates on the 2017 defense budget. According to draft bill, US defense spending for the next fiscal year estimates at $582 billion. Debates over the budget once again showed contradictions between the Republicans and the Democrats. The Republicans have insisted on boosting defense spending, including costly modernization programs, particularly in rocket technologies and nuclear arms. Space technologies are the hottest topic of the debates. 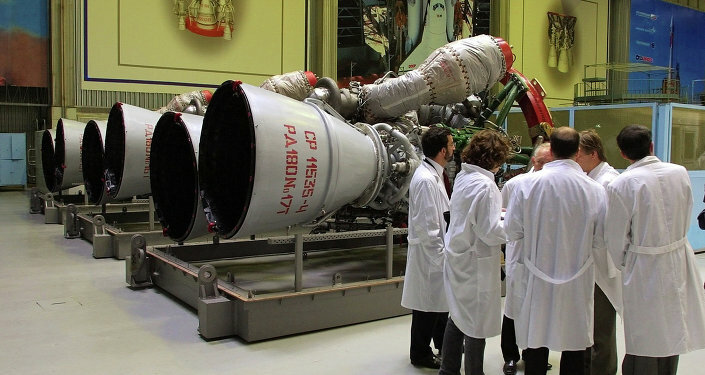 Recently, the House Armed Services Committee discussed the purchase of 18 Russian-made RD-180 rocket engines. They are required for the Atlas-5 space program, including delivering military satellites into orbit. The Russian engines are also part of the X-37B Orbital Test Vehicle (OTV). American analysts suggest that the OTV reusable suborbital surveillance aircraft designed in cooperation with NASA will be used to practice destroying satellites, Space.com reported. After Washington imposed sanctions against Russia a group of US congressmen called for the cancellation of the RD-180 deliveries. However, the Pentagon opposed, saying that the US would not be capable to develop its own analogue to until 2021. Probably, the classified report would include measures to cut reliance on the Russian-made engines. It is also possible that the US would further develop its traditional space technologies. "Military space technologies can be divided into two segments – offensive and information. The US is not developing offensive space weapons because such programs are too expensive. Washington is interested in information technologies, particularly space intelligence," Ivan Moiseyev, head of the Institute of Space Politics, told the Russian online newspaper Vzglyad. Currently, 40 percent of the satellites orbiting Earth are American satellites. In addition to financial benefits, the use of satellites is crucial for defense needs. The Outer Space Treaty bars states from placing weapons of mass destruction in orbit. But the treaty does not prohibit the use of conventional weapons in space. As a result, the US wants to secure its satellites via military dominance in space. In 2008, the Russian and Chinese governments proposed an international agreement to prevent the deployment of weapons in outer space but the US government under Presidents George W. Bush and Barack Obama consistently rejected launching negotiations to conclude such a treaty. The US is likely to further block the initiative, the article read. It is possible that in the near future Washington would include information systems into the military segment. "What the US is seriously developing is missile defense. And missile defense system can be used to hit satellites. China also has such a program. In turn, Russia is not developing such plans," Moiseyev said. For example, back in 2008, the malfunctioning USA-193 reconnaissance military satellite was intentionally destroyed by a SM-3 missile fired from the USS Lake Erie, at an altitude of 246 km. 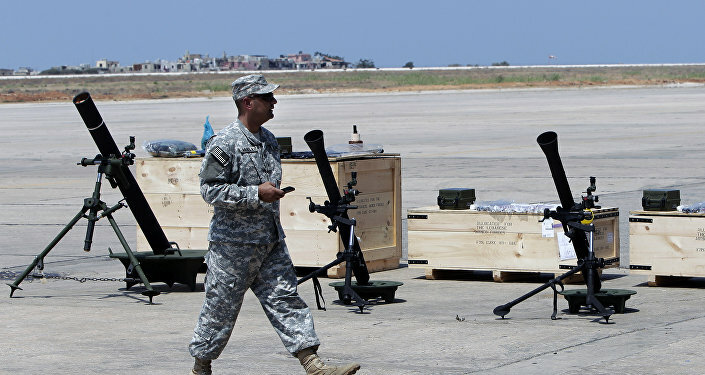 According to the analyst, the fire was aimed at demonstrating the US capabilities in the field. However, the US has accused Russia of using anti-satellite missiles. This refers to the launch of a Nudol missile from the Plesetsk Cosmodrome. The launch was allegedly detected by a US satellite. However, neither Moscow nor Washington officially confirmed the launch. Probably, the missile may have been the A-235 Nudol missile defense system which is expected to replace A-135 Amur missile defenses deployed around Moscow. However, the A-235 is incapable of destroying satellites in orbit while the US ship-based SM-3 can do this.